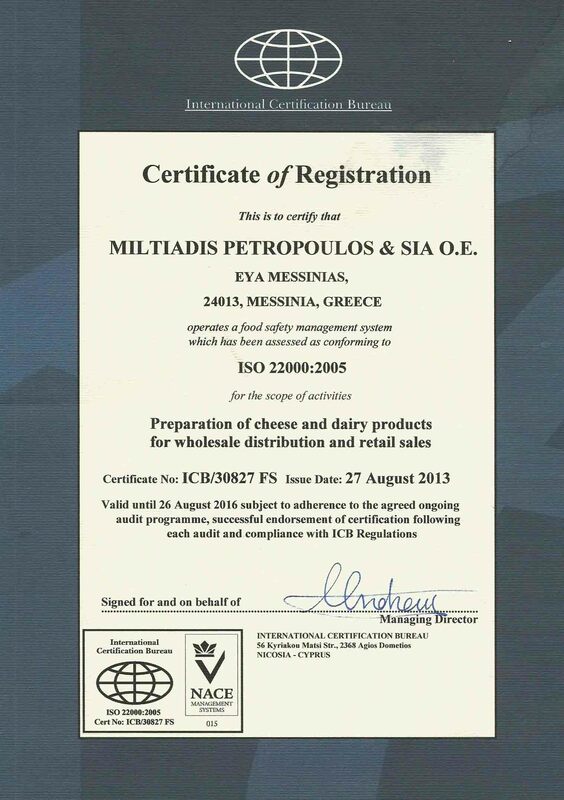 Our creamery with brand name MILITIADIS PETROPOYLOS & CO is well known about its ultra high quality premium cheese products using continuous and strict quality testings of raw material and applying a tight frame of hygiene rules. 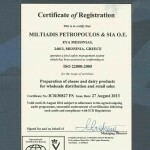 We have built a strong and trustworthy relationship with our customers. 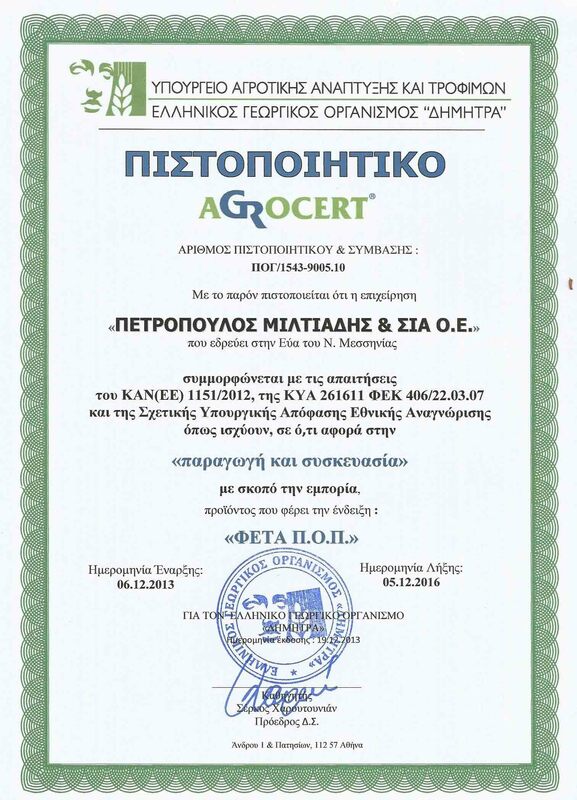 We promise to be alwayws equals to your expectations. 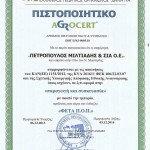 We proudly publish the received certifications and awards which confirm the proper operaion of our creamery. 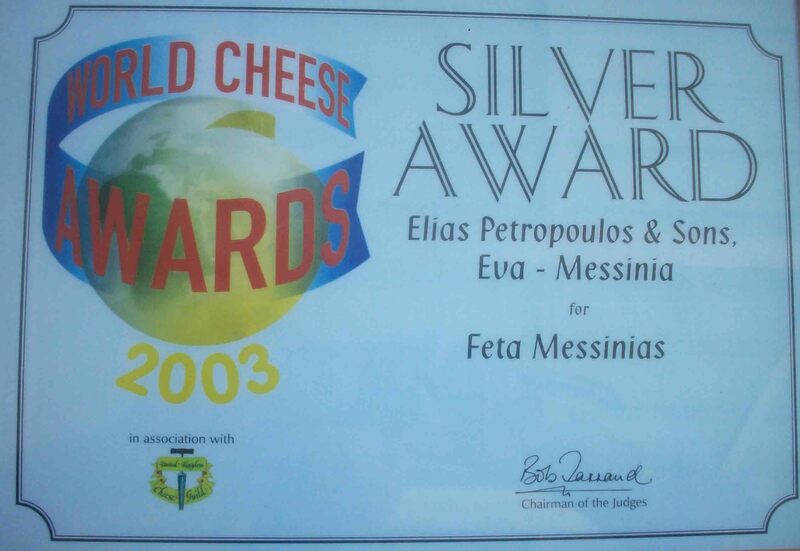 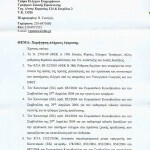 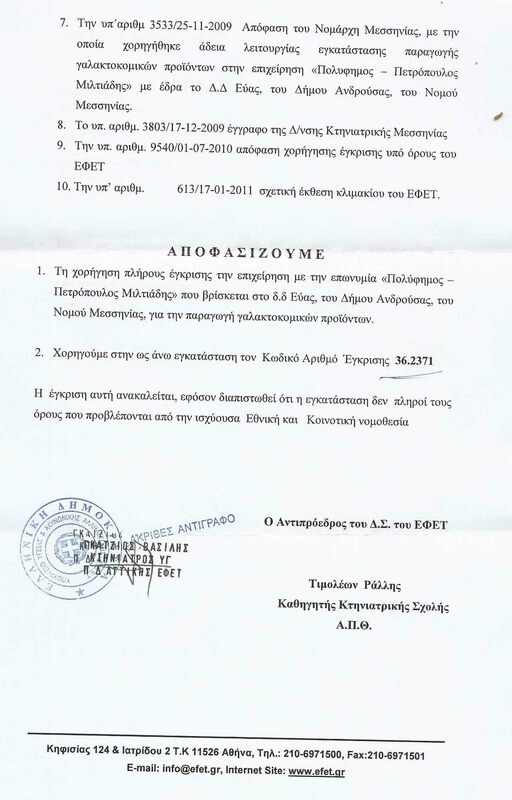 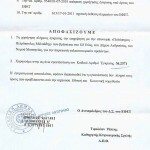 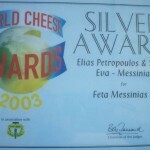 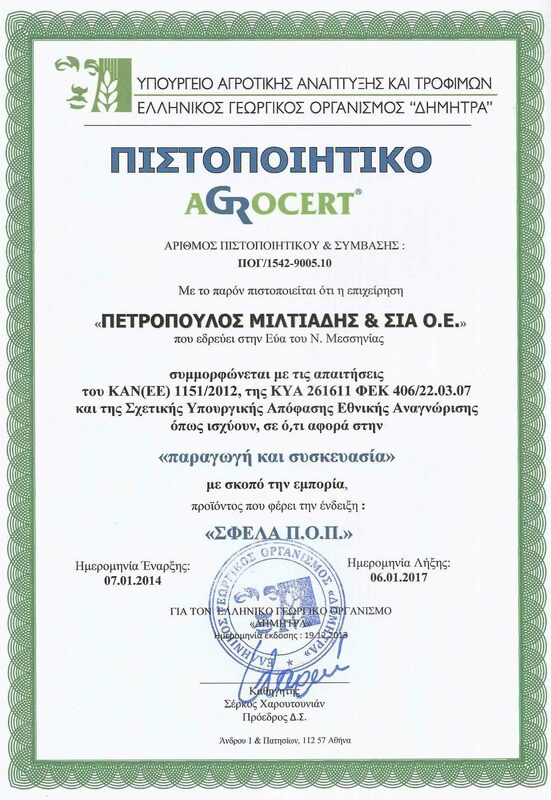 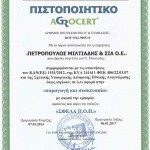 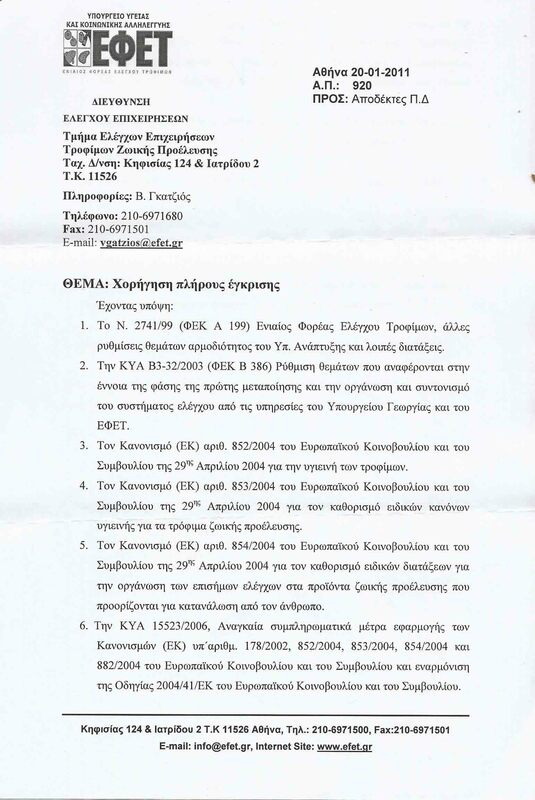 Those awards certify Miltiadis Petropoulos’ premium cheese products quality.